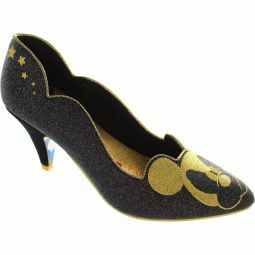 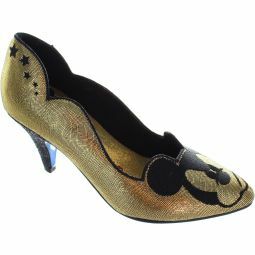 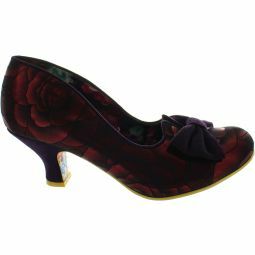 Comes with a floral fabric upper with scallop trim and gold piping, a pink holographic glitter heel. 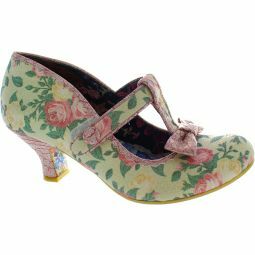 Fun, floral fancy mid heels will have you hopping with joy. 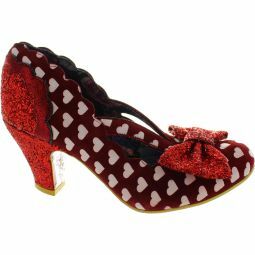 Winking eyes and embroidered detail and padded double bow.